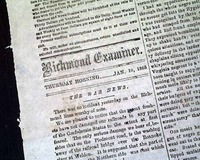 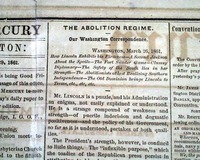 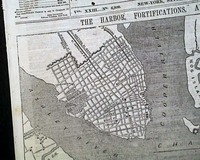 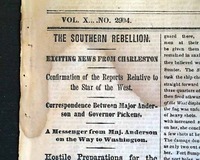 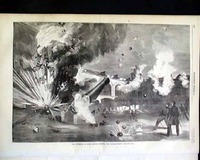 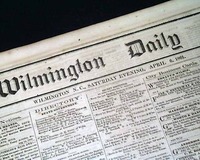 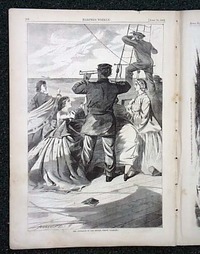 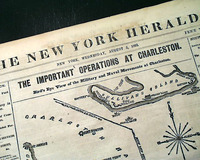 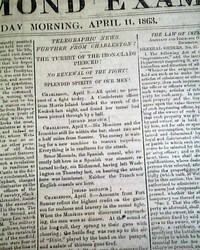 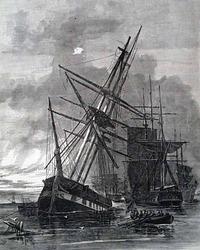 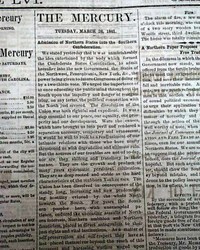 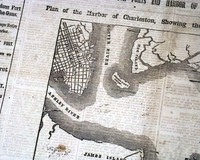 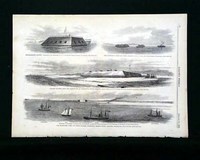 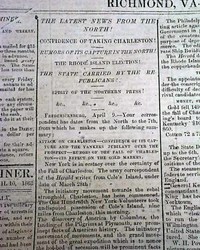 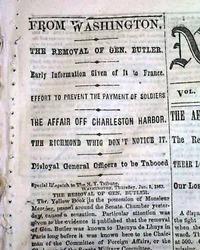 Browse the authentic original newspapers we have for sale featuring coverage of the historic Battle of Charleston Harbor. 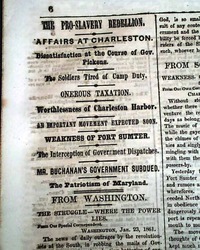 Much on the siege of Charleston with the top of a ftpg. 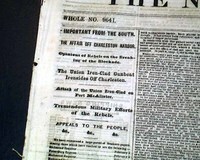 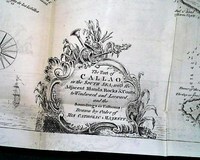 column headed: "Charleston" "Progress of the Siege--Effect of Gen. Gillmorte's Shelling" and then on page 2: "The Siege Of Charleston" "The Rebel Cause in Northern Georgia". 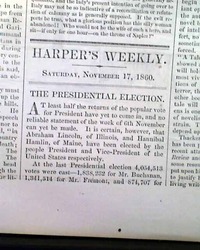 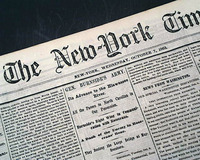 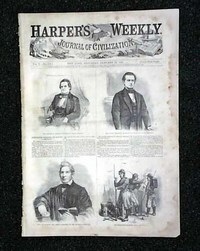 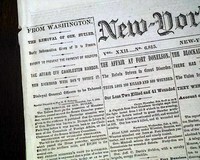 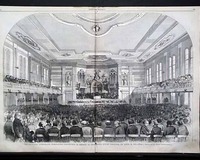 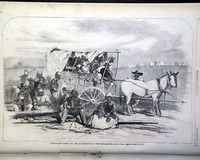 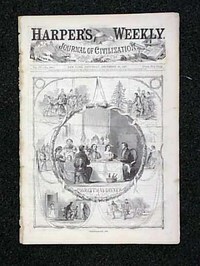 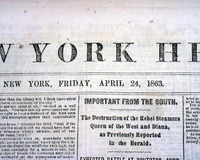 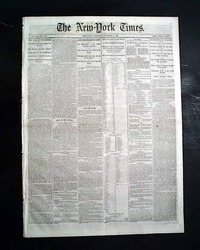 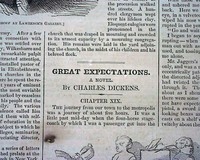 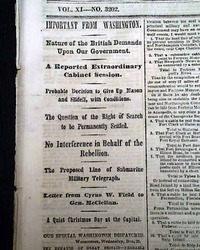 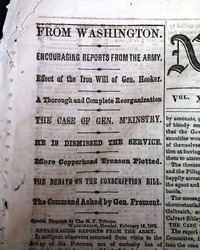 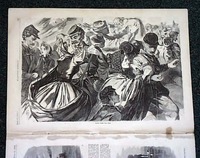 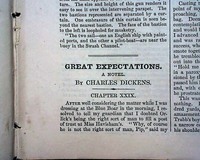 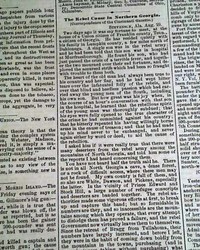 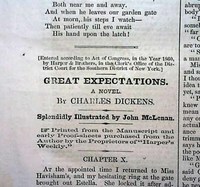 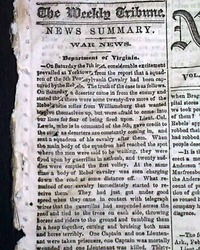 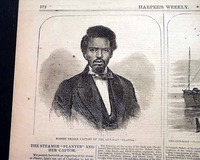 NEW YORK TIMES, Sept. 30, 1863 Among the ftpg. 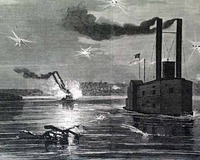 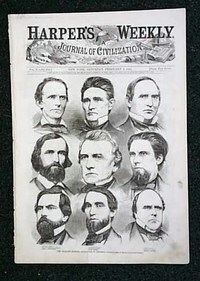 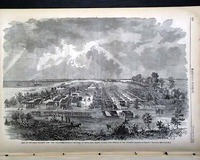 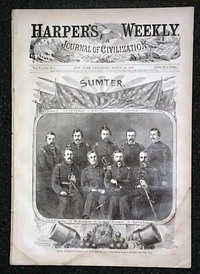 one column Civil War heads are: "Interesting From New Orleans" "The Good Health of the City" "The Mississippi Marauders" "From Charleston Harbor" "Description of the Rebel Works" "Honors to Gen. Gilmore" "Destitution of the Florida's Crew" and more. 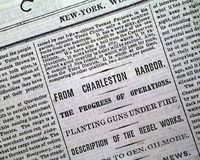 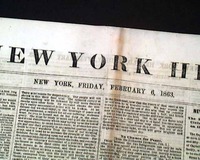 NEW YORK TIMES, Dec. 26, 1861 Among the front page column heads on the Civil War are: "The Sunken Fleet" "The Main Channel to Charleston Harbor Destroyed" "Sixteen of the Stone Fleet Sunk Across It" and more. 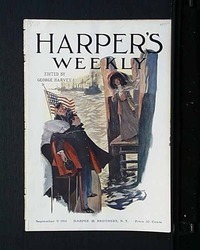 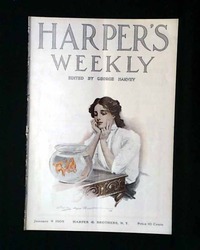 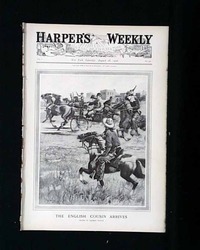 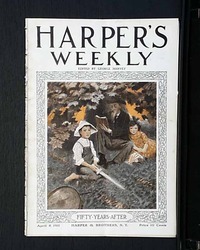 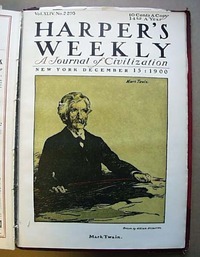 HARPER'S WEEKLY, New York, January 9, 1909 There is a color cover on this issue with an illustration. 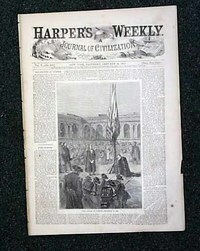 The front page of this issue has a photo of "Where Many Thousands Perished."